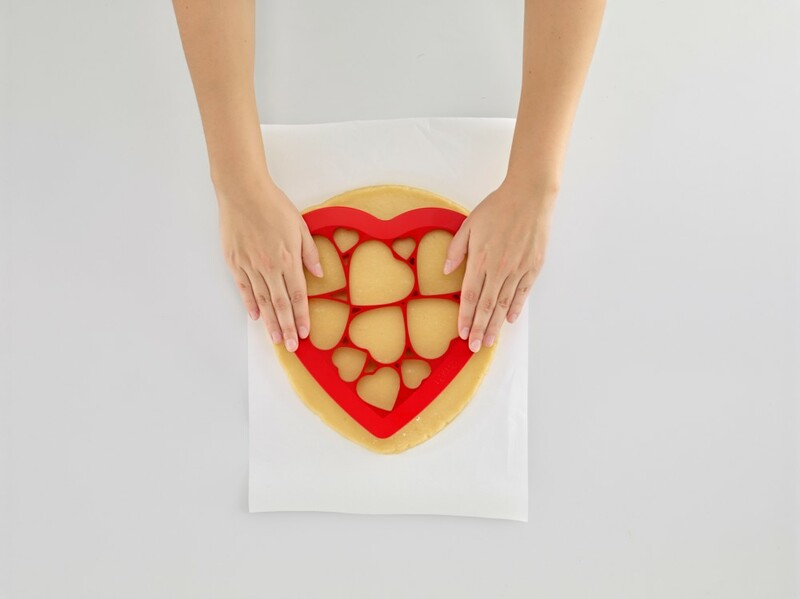 Make 12 heart shaped cookies with just one single cut. The pack includes: One large cookie cutter, wrapping paper, stickers, cards and a recipe booklet. 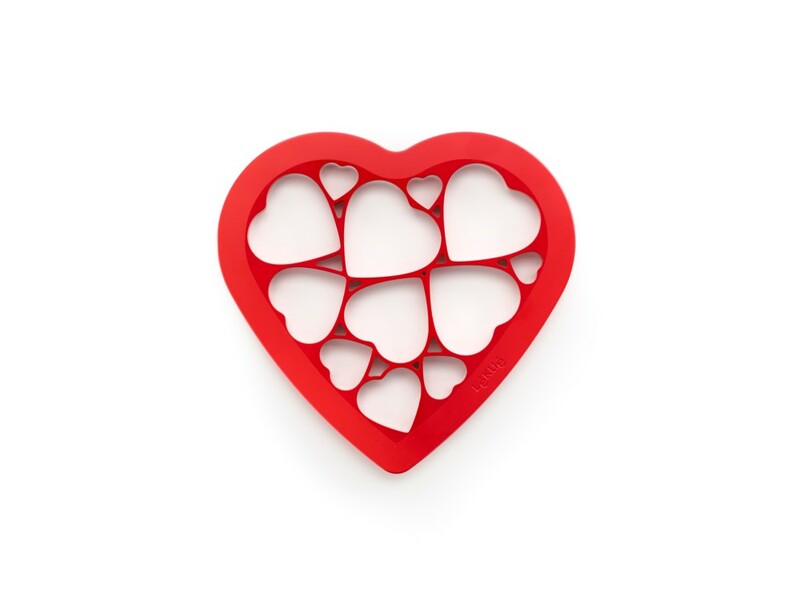 Perfect for a special gift for your loved ones. Simply make the dough using the recipe included. Then cut, bake, decorate and wrap. Cut out the cards inside the box then write your message.